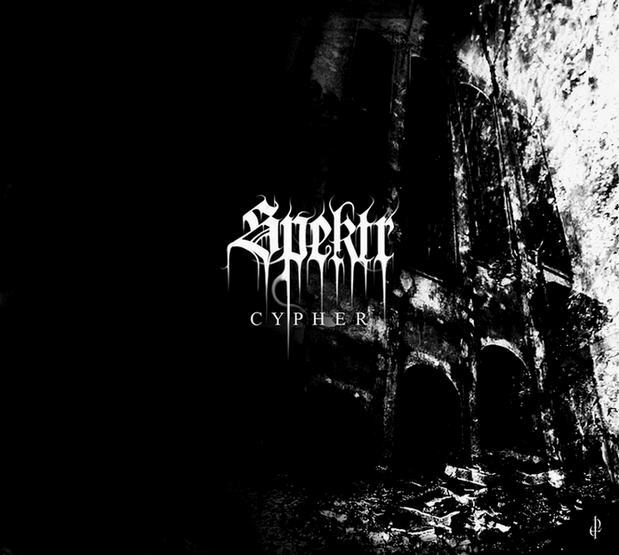 Today we have reviewer Jayaprakash Satyamurthy from the bangalore based band Djinn & Miskatonic doing a review of the new album from Spektr titled ‘Cypher’. The record was released via Agonia Records. Funny old genre, black metal. Of all the extreme metal genres spawned in the 90s, it’s turned out to be the one most amenable to mutations and experiments. There are any number of more or less orthodox bands keeping the core sound of the genre alive, and at the other end of the spectrum you have the popular, cheesy bands like Cradle of Filth who hardly even play black metal anymore. Spektr is neither orthodox nor cheesy. There must be something in the water in France; the French BM scene seems to consistently come out with bands with wonderfully weird, eclectic takes on BM. All this would be mere experimentalism for its own sake if they didn’t also preserve the core values of the genre: that sense of off-kilter menace and occultism. Blut Aus Nord have been venturing further and further afield into new and unexpected textures without diluting the intensity and darkness associated with the genre, and bands like Reverence and Stagnant Waters continue to offer up fascinating platters of mutant music that is still, somehow, firmly in the BM camp. Like many of their compatriots, Spektr has evolved over the years. While the ambient and experimental elements were evident from the start, there is a distinct trajectory from shared BM idioms to a unique musical vocabulary from their 2003 demos to 2007’s ‘Mescalyne’ EP. The band took their time crafting a follow-up to that release, and while I wouldn’t say that ‘Cypher’ is the career-defining opus I would have expected after such a prolonged hiatus, it’s definitely another step onward in Spektr’s path. At first glance, the album seems to consist of 5 or 6 long songs with a few shorter ambient interludes interspersed. However, it isn’t quite that simple. The songs themselves sometimes contain minimalist passages amidst the more structured, guitar-dominated sections. And some of the interludes contain distinctive melodic ideas, blurring the lines between songs and stage-setting. There’s also a single-mindedness to the music that suggests a single ongoing suite rather than a grab-bag of assorted songs. It’s no surprise that the song names all seem to allude to alchemy and other esoterica, because this is definitely hermetic music. This time around, it also reminded me unexpectedly of the NY noise gods, Unsane. Insanely distorted guitars, playing riffs that are further deformed by deep bends and whammy bar usage – the end result is often similar to the surf-band-from-hell vibe that is a distinctive part of Unsane’s aesthetic. Elsewhere, soundscapes that sound like they were created by very sophisticated, very ancient sentient machines that are currently lapsing into senility alternate with turgid, churning musical passages that put me in mind of Portal. With the lack of vocals, the effective use of horror film and television samples, always blended well into the mix, and the bizarre, lurching guitar sounds, this album is a most effective spawning ground for nightmares. The unity of the musical approach means that the cumulative impact of the album is massive. If you’re at all into the more experimental side of extreme metal, you’ll want to spend many sessions with this album trying to unravel its Cypher and decode its arcane secrets.